President @ Elliott Affiliates, Ltd.
Vince Elliott is an entrepreneur, author, speaker, and industry innovator advocating a Performance-Based Contracting strategy for facility services. Since 1973 Vince has been an advisor to buyers across the country in helping them write, modify or update over 530 Task and Performance-Based sustainable building service contracts with an estimated market value of over a quarter of a billion dollars in contracted services. Vince has a bachelor's degree in Economics from Towson University and a Master of Health Sciences degree from Johns Hopkins University in Baltimore. 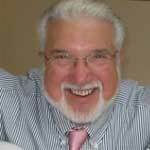 Vince is also a past Professor at a leading Maryland University teaching service management strategies. Vince is a best selling author who has delivered over a hundred conference presentations, written two industry leading books (Amazon), more than three hundred articles, whitepapers and ebooks.